It was over a year ago, whilst we were on holiday in Malta, that the Royal and Derngate announced that they would be hosting An Evening with Petula Clark. I’ve never been what you would call a massive fan, but I am fond of many of her 1960s hits, and she is indeed “A Big Name”, and one that I would never thought I would get the chance to see in person. I guessed the show would sell out rapidly, so I asked a kind soul back in the UK to get some tickets for me; and I’m very pleased I did. Before we saw the show, I read a review from earlier in the tour which implied that her voice had declined disappointingly, so I was expecting the worst. There are few things more cringey than someone who used to “have it”, still trying to trot it out despite the fact they lost it ages ago. Well, have no fear. 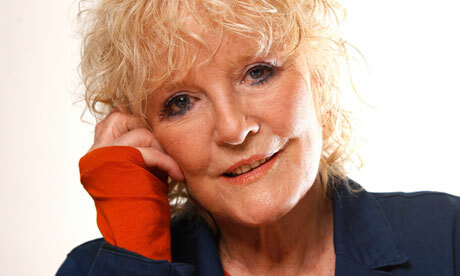 Whatever “it” is, Petula Clark still has it in droves. Backed by a terrific five piece band, Miss Clark gives us two and a quarter hours of old hits, new songs and some brilliant covers. She starts off with a couple of songs I’d not heard before – from the new album I guess, but early on she treats us to great renditions of “Don’t sleep in the subway” and “Colour my world”, before going on to some enjoyable recollections of appearing in Finian’s Rainbow with Fred Astaire. She then said she would do a song from that show, and I was half-delighted and half-alarmed at the prospect, as “How are things in Glocca Morra” inevitably brings a lump to my throat, for it brings back happy/sad childhood memories and I can be a soft old thing on occasions. Anyway, thank goodness it was “Look to the rainbow”, which she sang in her quaint Hollywood Irish accent to an updated rhythm and was excellent. Then, blow me, she only went and did “Glocca Morra” too. Well yes, my eyes did well up, but it was worth it, because again she re-invented that sentimental old song in really quite a funky way. Other great numbers in the first half were a very beautiful version of John Lennon’s “Imagine”, a multi-lingual “This is my song”, a Nashville style “My love” (which again really made you appreciate an old favourite in a new way) and a bright and breezy “You’re the one”. Those last two songs being my favourites, I went into the interval well pleased. The interval was actually a good opportunity to reflect with Mrs Chrisparkle just how much more we were enjoying the evening than we had expected. In the second half, other early highlights were a new (to me at any rate) song about Memphis, a stunning cover, accompanying herself on the piano, of Elvis’ Love Me Tender (together with a very amusing anecdote about her meeting Elvis) and a thumping “I Know a Place”. I didn’t know that she had played Norma Desmond in Sunset (Goddam) Boulevard for two years, and she sang “With one look” from that show, which made me think she was probably sensational in the role. She did a pastiche 60s recollection number which evolved into “The Other Man’s Grass” which I amused myself by singing along to, as I remember my parents always hated it. There was a lovely change of mood with “Someone to watch over me” from the Gershwin Brothers’ Oh Kay (the Gertrude Lawrence recording was another one I remember from when I was dandled on my mother’s knee), again with Miss Clark on the piano. She has a great new song, “Cut copy me” which she performed and I was really impressed with both the song and the band’s arrangement – well worth downloading, I’d say. She got the audience to join in with her 1961 hit “Sailor” – that gives you an insight into the general demographic attending last night; then there was a rousing “I couldn’t live without your love”, a hugely crowd-pleasing “Downtown”, and finally a charming song about a rainbow of which I didn’t get the title; but if you’re a fan, you probably know it. We came out of the show, feeling elated and privileged to have seen a great performer. There’s only a few more dates left in this tour, but absolutely well worth catching if you can. This entry was posted in Music and tagged chris sparkle, Cut Copy Me, Derngate, Downtown, Finian's Rainbow, Northampton, Petula Clark. Bookmark the permalink. Yes totally agree… The song is Here Comes the Rainbow… one of her own again. I saw the Glasgow show and was bowled over by the strength of her voice and the fact that she rocks and jumps in the air with the ease of someone half her age. Petula Clark is the ultimate superstar’s superstar. Thanks for the song information, Tris – and you’re right, she gives a really strong physical performance too! She was, without a doubt, stunning on tour! To leave an audience fully satisfied with a blend of old and new is a rare treat…not to be missed. Petula Clark shows great powers of interpretation, vocal style and power to express with new, vibrant songwriting! Yes that old and new combination really works. None of the usual silent groans from within when you hear the dreaded words “and now for a song from my latest album…” ! Quite right about avoidance of those usual groans from people not wanting/welcoming new works. She had vocal range, power, and expression on the night! And, she had the stage presence to keep an audience at or above her own age entranced! Couldn’t commend her performance and creativity more! Actually, Kurt, the age range at the concert was pretty wide, but I didn’t see anyone of her own age there. I mean she is nearly 81! Most of the people there were under 60, and some were in their teens and twenties. Sorry, I was at the concert in Ipswich…and the average age was up there to be certain. But, nothing detracts from her creativty, interpretive powers, and depth of new works! The concerts I was at had a more wide age group. But as you say, she is creative and and she knows how to interpret a song and make you believe it. I was close to tears when she sang “Dis moi au revoir” so intense was the scene of desolation she managed to evoke… but minutes later I was invigorated by “Here Comes the Rainbow”. I hear that she is off to tour Australia and Canada and France next year… Magic. That’s going to be an expensive year for me.